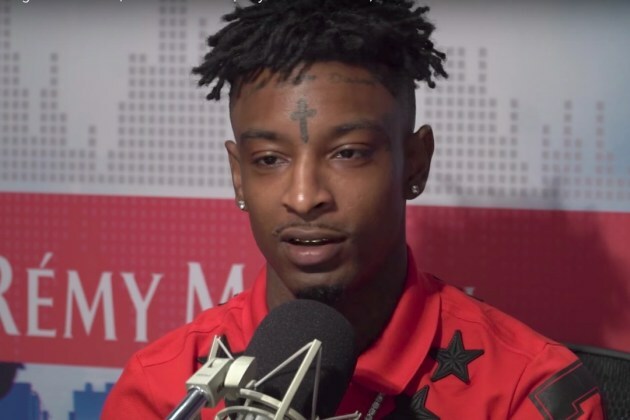 21 Savage is celebrating the release of his brand new album, ISSA, and in efforts to continue promoting the album, 21 made his way to Los Angeles Hip-Hop station, Real 92.3, where he talked about his new girl Amber Rose, the project, and much more. Towards the end of the conversation, 21 discusses his new album ISSA as well as Jay-Z’s album 4:44 and the shots he took at “money-phone” rappers. “He used to got his gold rope!” he says. claiming that if Jay-Z were on the come up now he would likely be leading a similar trend as the “money-phone” rappers. Take a look at the entire interview here.